I LOVED this book. I would say over the last three years its in the top ten books I’ve read. I loved the topic – a young White House speechwriter’s journey through the Obama years – and I loved the writing style. 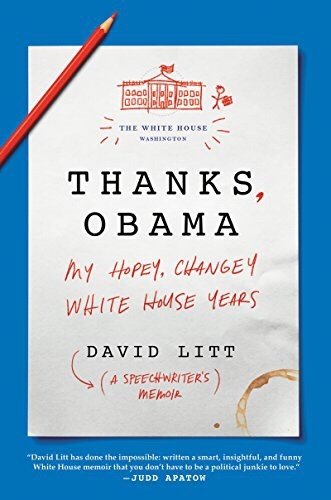 David Litt (author) is an incredibly talented writer, finding just the right notes to hit as he flows through humorous situations to incredibly serious topics. I laughed out loud more times than I can count.